The Pop Culture Salvage Expeditions is a monthly podcast about the most popular, highest grossing, mainstream culture. How we can use all that bad stuff for good? In each episode an an academic, an activist, and an artist from the Center for Artistic Activism will help navigate through the garbage looking for treasure. 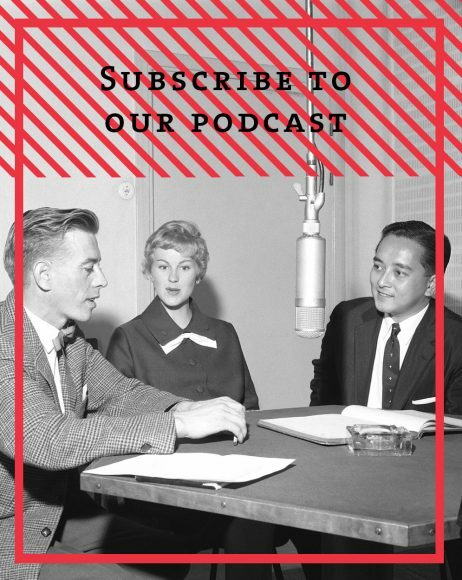 By subscribing to this podcast, you will automatically receive the latest episodes downloaded to your computer or portable device. Select the subscription method that best fits your preferences. To subscribe, select the “Subscribe on iTunes” button. Android has a number of podcasting applications available. Two of the most popular podcasting applications are BeyondPod and Podcast Republic. Once the podcasting application of choice is installed on your Android device, select the “BeyondPod for Android” or “Podcast Republic for Android” link.